1Place chicken wings in a large slow cooker. 2In a large bowl, mix together sauce, water, lime juice, lime zest and season to taste with salt and pepper. 3Pour mixture over wings, stirring to coat until even. Cover, then cook on high about 2½ to 3 hours. 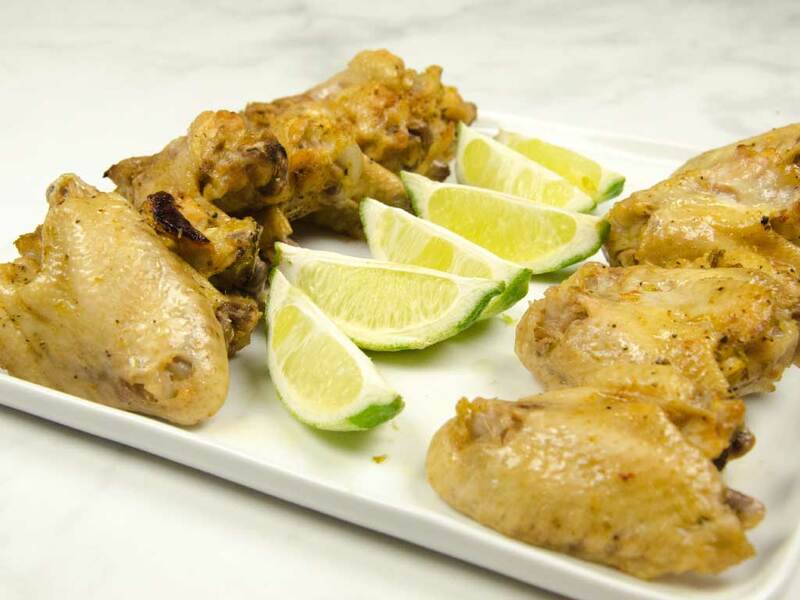 4Remove wings from slow cooker and place on parchment-lined baking sheets. Place in the oven and broil until skin crisps, about 5 minutes. 5Serve warm, with lime wedges.